Camilla Fojas’s research explores transnational Asian, Pacific, and Latin/o American cultural and media studies in a comparative imperial context. Her books include Cosmopolitanism in the Americas (Purdue UP, 2005), Border Bandits: Hollywood on the Southern Frontier (University of Texas Press, 2008), Islands of Empire: Pop Culture and U.S. Power (University of Texas Press, 2014), Zombies, Migrants, and Queers: Race and Crisis Capitalism in Pop Culture (University of Illinois Press, 2017), and Migrant Labor and Border Securities in Pop Culture (Routledge, 2017). She co-edited Mixed Race Hollywood (NYU Press, 2008) with Mary Beltrán, Transnational Crossroads: Remapping the Americas and the Pacific (University of Nebraska Press, 2012) with Rudy Guevarra, and Beyond Ethnicity: New Politics of Race in Hawai‘i with Rudy Guevarra and Nitasha Sharma (University of Hawai‘i Press, 2018). Her articles have appeared in Aztlán, Cinema Journal, Symplōke, Journal of Asian American Studies, Journal of Popular Film and Television, Comparative American Studies among other journals and edited collections. 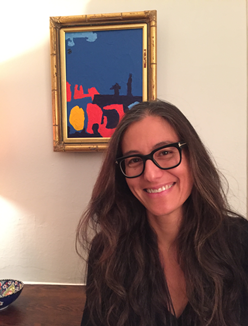 She is currently working on two new book projects, Border Securities/Border Futures and Cultures of Surveillance: U.S. Imperial Networks across the Americas and the Pacific. She co-edits, with Mary Beltrán, the book series Race and Mediated Cultures for the Ohio State University Press. https://ohiostatepress.org/books/series/racemediaculture.html Camilla Fojas has degrees in Literature and Philosophy from the University of California at Santa Cruz and an M.A. and Ph.D. from New York University in Comparative Literature. Previously, she was Vincent de Paul Professor of Latin American and Latino Studies at DePaul University before joining Media Studies and American Studies.